MANILA, Philippines (Feb. 20, 2019)—Evangelist Will Graham returned to the Philippines in February to hold an eight-day, nine-event evangelistic campaign that took place in multiple locations in and around Manila. The Greater Pangasinan-Metro Manila Celebration with Will Graham was held Feb. 9-17, and included a two-day outreach at the Narciso Ramos Sports Complex in Lingayen, Pangasinan, followed by three special events for teens, government/military leaders and marketplace leaders, and culminated with a three-day, four-event series at the Quirino Grandstand at Manila’s historic Rizal Park. More than 19,400 responded to Graham’s invitation to make a commitment to Jesus. The Greater Pangasinan-Metro Manila Celebration with Will Graham marked the first time that all three generations of Graham evangelists have preached from the same venue in the same city. 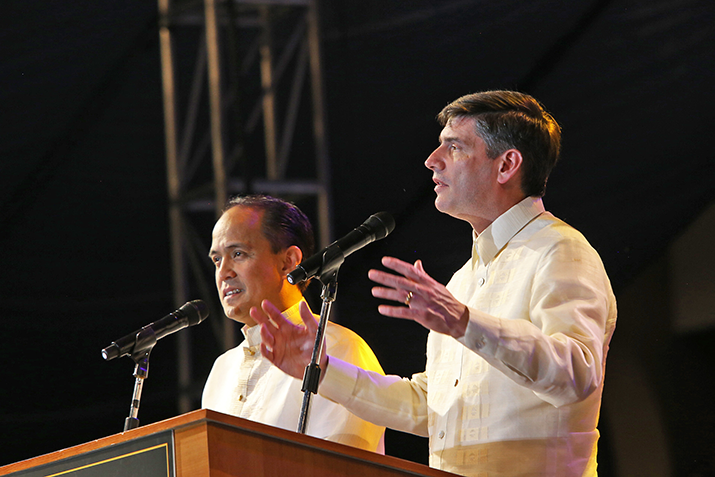 Will’s grandfather, Billy Graham, preached a Crusade at Rizal Park in 1977 and Will’s father, Franklin Graham, held an evangelistic Festival in 2006 in the same location. Two milestones were reached during the campaign in the Philippines. During the opening weekend in Lingayen, Pangasinan, total cumulative attendance at Graham’s evangelistic outreaches over the course of his ministry reached and exceeded the one million mark for the first time. More important, the cumulative number of people making spiritual decisions for Christ since Graham began his evangelistic ministry topped 100,000 at the Saturday morning children’s event in Manila. This was Graham’s third trip to the Philippines to hold multi-day outreaches. He first preached in the Bicol region of the Philippines in 2011. He returned in 2015 to preach in Cebu and Tacloban following the deadly Typhoon Yolanda. Follow Will Graham on social media at www.Facebook.com/WillGraham4 and www.Twitter.com/TellaGraham.